Lufkin is home to over 30,000 residents and is located in the deep east region of Texas. 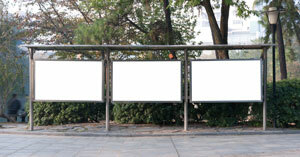 There are numerous advertising opportunities throughout the city. First, Utilize outdoor advertisements in downtown Lufkin where there are many dining options. Attractions like the Ellen Trout Zoo and Ellen Trout Park can be the perfect place for out-of-home advertisements as well. Cultural venues with high traffic include Texas Forestry Museum and Museum of East Texas. The major roadways that serve the city also provide billboard possibilities. Billboards on I-69 or US 59 would generate exposure of your business. Zip Codes: 75901, 75902, 75903, 75904, 75915.